Welcome to the construction guide! The goal here is to review some of the core basics of taking transforming that box of plastic runners into a proper Gundam kit. Beginners who have picked up their first kit have probably opened up the box, looked at the runners, than the Japanese instructions. How's it feel? Excited, maybe have a sense of tribulation? Well worry not! Despite the number of small parts and the Japanese instructions putting together a kit perhaps the easiest part of the hobby. Before we begin it's important that you familiarize yourself with some of the common terminology. Those plastic things with all the pieces attached? Those are called runners. 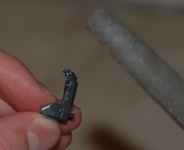 The parts of the runner which connect directly to the kit's pieces are called sprues. When you cut a piece from the runner and sprue there will likely be a little piece of plastic left sticking out of the piece itself, that is called a nub. Here's a more extensive list of the hobby's terminology. A lot of people on their first kit might open up the manual and be overwhelmed by the amount of Japanese, and their inability to read kanji/rōmaji. 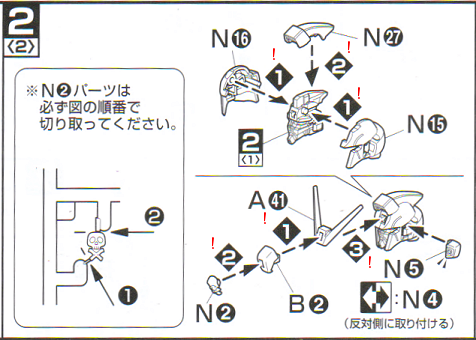 Thanks to the efforts of Bandai to put together well thought out and picture based instructions the language barrier wont be an issue. Before starting take sometime to browse through the documentation that came with your kit. HG/MG models usually come with one booklet, while PG kits usually come with two, sometimes three manuals. Flip through to familiarize yourself with the process. Most manuals follow the same steps, build individual components first (arms, legs, torso, head, etc, not necessarily in any consistent order) and final assembly. 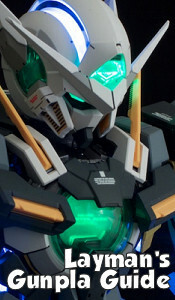 Additional details such as transformation procedures or weapon outfitting may follow. Be sure to mind any details the manual provides. 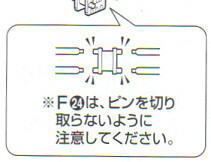 Some steps may be accompanied by Japanese text but often include simple picture explanations. I've encountered a few manuals where a seemingly innocuous step will be next to text blurb. Sometimes these boxes just have information on various design options (such as use another piece to get a different look) or assembly pointers. In event of the latter the diagram should be enough, just take your time. 95% of the time if something feels like a part is attaching the wrong way it is. Eventually working your way through a Gunpla manual will be second nature and you'll start to forgot the effort Bandai graciously put into it. Sometimes pieces are attached to a runner in such a way that the line between the spure and piece can be ambiguous. Notes like this let you know where you should cut so you don't take too much off. Note the red !s I've placed in the above picture, that's the snapping order for a particular piece. Often pieces need to be placed together in a specific order because they overlap. If you don't follow the order you may find yourself having trouble assembling the piece or having to backtrack and dissasemble. 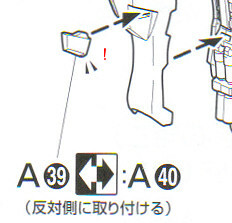 Bandai's guides like to use little hash marks to draw your attention to piece orientation. Failing to note these can cause frustration from parts not going in correctly to limiting articulation. Unfortunately not all guides are clear on just how a piece should be placed. In these instances it becomes a matter of trial and error. Now, this is the simple part! 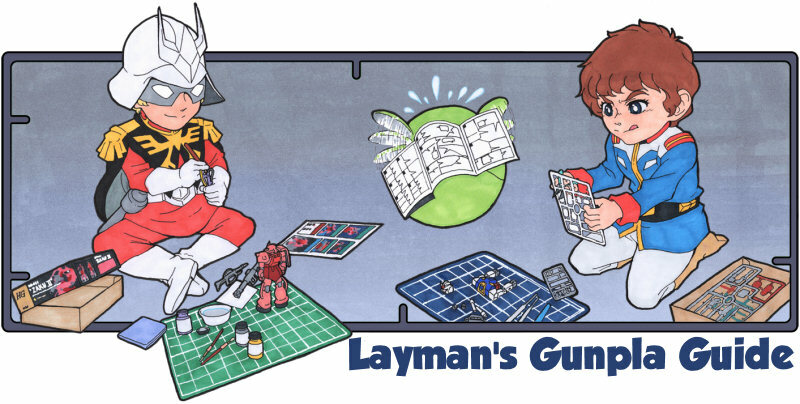 Basically all you have to do is follow the instructions and you'll have a new gunpla in no time! Okay, maybe I'm making it seem super easy, but it really is. When building a kit just work step by step through the guide. Advanced builders may be multitask or jump around but it's not recommended for beginners or kits you're unfamiliar with. It's easy to miss a step or piece. Disassembly to insert a forgotten part can be time consuming and potentially damaging to your model. Patience upfront always pays off. If you haven't already remove all of the runners from their plastic bags and lay them out. Keep an eye out for any screw packet, small runners, or stickers/decals. Runners are labled with English letters, some may say PS which are your pollycap joints. On larger kits there may be A1 & A2 or WC runners as they run out of letter or have duplicates. When prepping for a build some folks like yo say them out alphabetically to make finding runners easily. I just tend to lay them out by colour and suspected purpose and reorganize them as I feel fit. Often times only a few runners will be needed for any particular part so you shouldn't be hopping through all of them all the time. Each piece has a corresponding number. If a piece is interchangeable, say it can be used on either the right or left leg, duplicates may exist on the same runner or on matching runners. If a piece is not interchangeable its number will unique. Together, the runner letter and piece number indicate a specific piece reference in the guide. I 34, A 6, B 3, etc. Manuals tend to have a section where they list all the runners and identify the numbered pieces on them. This is often helpful should you need to find a piece or runner. In this section you may also see a piece with a black X above it. 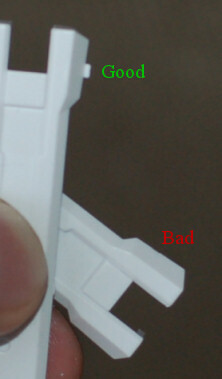 This indicates that the piece is not used in this kit. Sometimes Bandai reuses runners between kits but not always the same pieces. Before you start cutting and assembling, make sure you have all the appropriate tools at hand. For more info see my list of building equipment for more information. When cutting the pieces from the runners it's important to make two cuts, one to remove the piece from the spur and another to remove the remaining nub from the piece. This helps protect the piece from damage. When you cut plastic you're essentially tearing it apart, just with a bit more fineess. Plastic is made up for long fibers and compressing or pulling them via cutting can cause them to flex and break. 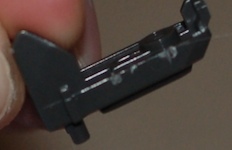 This flexing in breaking can leave in little holes on the piece or white compression marks that need to be painted. By making two cuts you help aleviate some of the pressure on the plastic and minimize the damage. It's not perfect, certain colours of plasic will show these nub marks, but that's the nature of the material. At the very least adding a quick extra step can help minimize the impact and improve the look. Whether your second cut was with a hobby knife or with a nipper, chances are there's a little mark left over. This needs to be sanded down with a file or sand paper. Fine grit is recommended, more on that in the building equipment section. Sanding is the most time intensive part of putting together a kit. Do you have to? No, but you really, really should. A kit whose had its nubs removed and sanded looks 100000x better. I generally use a fine metal file on straight edges and sandpaper for curved sections. Always start with very little pressure and slowly work up if need be. It's easy to remove too much plastic. When using samd paper, some folks like to glue it to a popsicle stick or wooden dowel to make a handy tool. If you're careful, the process won't leave any visible marks aside from very fine sanding marks. The easiest way to completely mask these marks, if you're not painting, is to apply a nice dull top coat. You can also minimalize the effects of these marks by stepping up to continually finer grains of sandpaper. Before you know it you'll have a complete kit! Congratulations on your new kit! Construction is a lot of fun, especially if you spent your childhood nose deep in Legos. Many people are happy to reach this stage and leave their kit be. I encourage people to take things a little further by taking care of those detail lines and giving the guy a good top coat. You'll find the pay off immense. Don't forget to poke around the rest of the guide for more tutorials on how to make your kit unique.